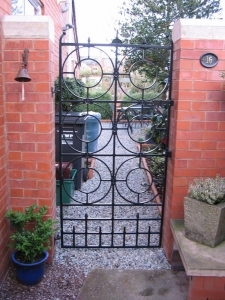 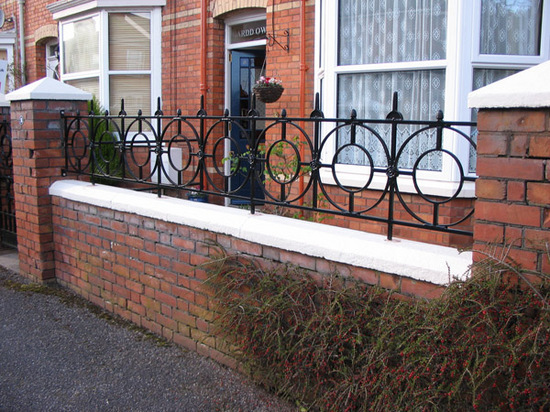 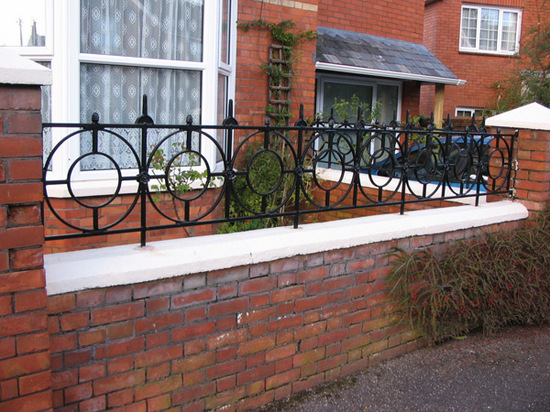 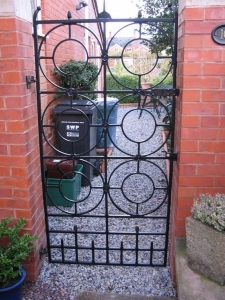 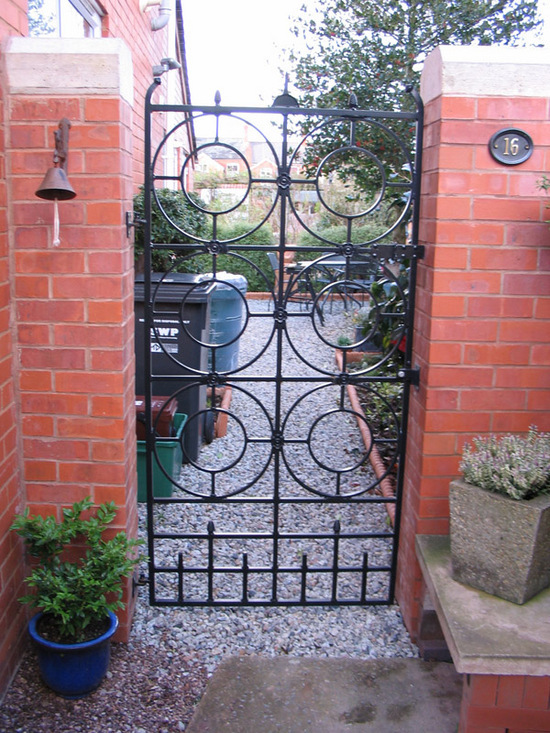 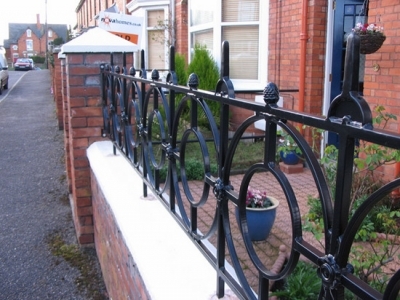 This gate and front railing was based upon the design of the original section which goes down the side of the garden, most of the components had to be produced by us as there was nothing available to match the original. It was produced in mild steel and is possibly the only one ever made in that design. 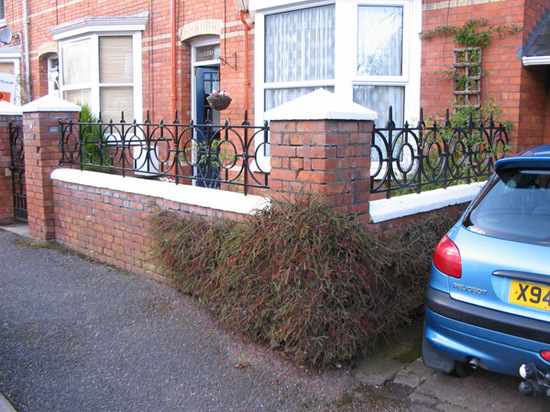 the railing was installed into a bored hole in the capping stone and cemented into place.